Emergency Kit for Chlorine Cylinder/ Tonner, that are perfect to be used in emergency situations like leakage of ammonia, chlorine or other gases from valve packing, seat or spindle, fusible plugs, defective threading in valves or from container wall. Emergency Repair Kit For Chlorine Tonner And Chlorine Cylinder. 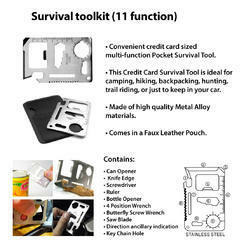 We are offering G21 Emergency Multi Toolkit to our clients. 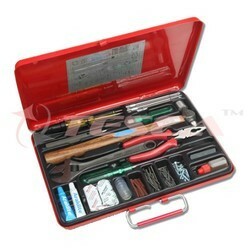 Our firm is a foremost name, involved in providing a diverse range ofEmergency Auto Glow Multi Tool Kit. Experts use the advanced techniques to develop this product as per client’s demand. - The green parts emit a mild glow in the dark so you can find it easily!